In most cases, recruiters have larger professional networks than the recruitment agency they work for. We are also moving into an economy where consumers (in this case candidates and clients) expect to hear from individuals, rather than (or as well as) the company they represent. 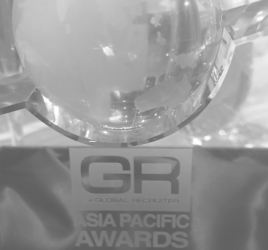 However, one of the biggest challenges faced by recruitment Directors, Managers and Marketers is getting recruiters, who are already busy, engaged in active marketing efforts. The good news is that there are proven ways to get your recruiters on-board and to track their progress. For this article, we have sought contributions from three of the industry’s leading recruitment marketers, which, alongside our own input has resulted in a comprehensive personal branding guide for recruiters. Recruiter personal branding is easily divided into two clear areas; online and offline. We’ve explored each of these in detail, and at the end, provided a tool that can be used to set standards and monitor progress within your recruitment business. There are several different levels of online contribution, from simply engaging with others, through to posting content and finally blogging or video. The reason we say these are different levels of contribution is because each takes a different amount of effort, and in the online environment, results are very closely aligned to that effort. Encouraging your teams to engage socially (LinkedIn) is relatively easy to do. Either of the following two methods will ensure that social activity isn’t limited to a select few social media enthusiasts. The first method is quite simple: request that your team visit your agency’s Company LinkedIn Page at a prescribed time each day and then that they share the latest content. This method might sound somewhat draconian, however, because of this, it is also one of the most effective ways to encourage social activity. It is best suited to teams that are junior in nature or not socially savvy. Whilst this method has clear benefits, it also has a major drawback, as many people will not respond well to this kind of dictation. We have seen it being most successful when used as a stepping stone while the recruiters familiarise themselves with being socially active. The second method relies more on engaging the recruiters and providing accessibility to information. Central to this strategy is planning your company’s social postings in advance and then sharing these with the business through a content schedule. We have found there are two opportunities to share the content schedule, either during a Friday afternoon or Monday morning meeting, or by sending round the social content each morning. Talking about content during meetings is always preferable as this encourages the two-way flow of ideas and helps recruiters to feel the content is their own. Daily emails can work but also risk getting quickly get ignored or redirected to other folders. If you’d like to download an example content schedule, please click here. Once you’ve armed your recruiters with this information, it’s really important to ensure that they know how to be socially active. It may sound obvious, but many people don’t. If possible, be sure that every recruiter is trained on the basics of liking, sharing and commenting on LinkedIn (or the social etiquette on any other platform you choose). It’s also a great idea to ensure your team is aware of what they shouldn’t be doing. It’s not uncommon to see recruiters sharing jobs from their competitors or their clients, in both cases giving these people free exposure to their networks. In the same way, without training or guidelines, you also risk maverick recruiters expressing opinions that represent your brand poorly or negatively. Knock: I’ve been seeing more consultants sharing more personal anecdotes. They’re posting about how, for example, as an IT recruiter they’re learning to code because it will help them be better at their job, or sharing personal stories around job anniversaries and office culture. It shows personality beyond their professional expertise and I think that really resonates with people. Grimmer: Something I try not to do is share content on the company page, and then have the team all share the same content in quick succession. They tend to have very similar networks on LinkedIn, and it is not ideal to have the same piece of content pop up multiple times in the same person’s feed. Instead, I try to stagger when, where and who shares the content to increase the longevity of the piece. It takes some time to manage, but the engagement statistics are much higher. It’s also important to realise that the consultants will prioritise activity that makes placements. They need to be educated and engaged in the ‘Why’. If they can’t see the direct benefit in producing and sharing content, they just won’t do it. From a brand perspective, it’s also important to have a central filter on what content and comments are shared by consultants on social platforms linking to their employer. Consultants might not always be fully aware of how their comments could be construed in the marketplace, and despite what they say, not all publicity is good publicity. 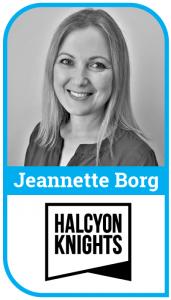 Borg: During induction, we reinforce to our team that they are our Brand Ambassadors: they are an extension of our brand, and we empower and encourage them to authentically post and engage on social media, and to our blog. We also invest time both during the recruitment phase, and at the outset of their employment with us, to make sure that the Recruiters we hire understand and are aligned with our core brand values. Getting recruiters active on social media is one thing, but it is another altogether to get them involved in blogging for your agency. Again, there are multiple ways of encouraging this, ranging from requesting your recruiters to get involved and seeing what they produce to providing a clear, structured approach to blogging. In most situations, we’ve found that training is essential, as is some sort of formal review process and ideally a blogging schedule, so your team know when they have to contribute. Ideally, the schedule will ensure you have enough content, but also ensure that blogging doesn’t become an unwanted distraction at the same time. What is also really important is that your recruiters receive feedback as to how their blogs have performed and added value to them or the company. We have experienced success by providing simple certificates with the relevant statistics on them, presented during team meetings or wrap-ups, plus also adding blogging to the annual awards list. Getting your recruiters involved in your mailouts, newsletters or EDMs is also another good way to drive engagement. 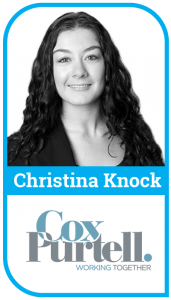 Knock: We find that after the recruiters put out their first blog and realise the potential to position themselves as an expert in their space, motivation generally follows. I use Google Analytics to track Click Through Rate (CTR), time on page and bounce rate of each blog. The consultant who achieves the highest CTR for their blog every year is recognised in front of the team. We then run through the most successful blogs and discuss elements of each, allowing us to create better content. If the blog articles are not at the desired level, always advise why this is and help them to produce better content next time. However, if you find you have recruiters that either don’t have time to write, or simply don’t have the ability to write, one other option is to have their articles ghost-written. This is where a marketing agency or third-party writer will write content on behalf of your recruiters. In most situations, they will have a phone conversation with the recruiter to explore the subject matter, and then go away to write the article on their behalf. 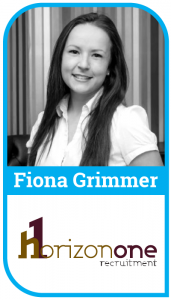 Grimmer: Our consultants understand that establishing a profile as thought leaders in their space through producing quality blogs is a clear benefit. But actually achieving this is the challenge. We tend to find that most of our recruiters are not natural writers. Another potential hurdle is ensuring a unified theme throughout all our consultants’ blogs. We certainly want to draw on their individual experience, insight, and voice; however, their messages still need to align with our company values and brand. The first step is to help consultants identify their audience. For example, when I sat down with our consultant specialising in the corporate administration and support space, we agreed that the most appropriate audience for her blog articles was her candidate network. We profiled this audience and once she had a good understanding of who she was talking to, and what might interest them in terms of subject matter, it was much easier to write the blog. You do also need to provide basic structure and guidelines in order to achieve consistency across the brand. Once the structure is in place and the audience is well defined, we generally see the consultants writing confidence rapidly develop. Borg: The biggest hurdle we find is in Consultants finding the time to put pen to paper all the while running a busy desk. Naturally, they will devote their time to the activity which has a direct impact on revenue generation. Whilst they understand blogging helps to build their personal brand and to position themselves as a thought leader in their area of specialisation, despite good intentions, blog writing ends up on the bottom of their to-do list. We’ve got a highly personable team, so I encourage staff to inject their personality into their blogs and social media posts. 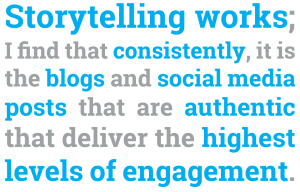 And storytelling works; I find that it is the blogs and social media posts that are an authentic and true reflection of the author’s personality, opinions or experiences, that deliver the highest levels of engagement with our audience. When delivered as a story, content engages the readers who want to know how that story ends. The best ways to approach offline branding with recruiters isn’t significantly different from online. However, what we have found is that the single biggest factor that prevents recruiters doing more offline personal branding is actually a lack of confidence. This may sound strange when referring to recruiters, who are traditionally seen as somewhat over-confident, but in reality, this is often a facade. For most recruiters, that means that it’s more important to address this underlying issue as opposed to trying to get results solely through KPIs. Training is the obvious solution, but there is only so much that classroom training can do. In our experience, having your recruiters attend events alongside your seniors or Directors is the best way to get them used to these environments. Once they become more comfortable with conferences and MeetUps, it’s important to work with them to build a schedule of relevant industry events that are worth attending. Some firms go a step further than this by discussing specific goals for each event, for example, connections made or leads gained. 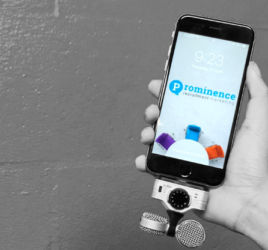 If you have a particularly adventurous team, then the next step in branding is to begin speaking publicly or getting involved in the events themselves. If you reach this stage, it’s possible for a few recruiters to do this successfully, but you’re probably approaching the territory where they will need professional coaching or training. In our experience, it’s best to start with the Directors and Managers of the business and then involve other recruiters as they become more experienced. Knock: When at these events, it’s really important that recruiters are active on social media. This creates a crossover of the two branding efforts, and helps to raise their profile and also position them as an expert in their field. Always use an event hashtag to link it all together. Grimmer: It can be quite daunting for new recruiters to attend events. They haven’t yet developed the confidence to have a value-adding discussion with a prospective client, or the base network that makes it a bit more familiar when you walk into a room and can see a few friendly faces. We tackle this in two ways. First and foremost, no matter how new a recruiter is to the craft, they need to be trained thoroughly on identifying and articulating their own value proposition. If they can confidently recognise and engage with the value of what they do, they will be far more proud and confident to talk about it in a room full of strangers. Secondly, attending events with some more seasoned consultants who can assist them in building their networks will quickly lessen the fear. Most recruiters can at least leverage existing contacts in a room to meet a few new ones each time they attend an event which should help grow their network. Encourage them to prepare for an event before they attend, know who is going and actively target who they want to meet, and what they might have to say that could be valuable to that person. Another great way to build a consultant’s brand in the offline world is to get them involved with local charity events. Not only are they supporting and building awareness for a great cause, participating in a fun run or something similar in a branded shirt will do wonders for their personal, and company brand. 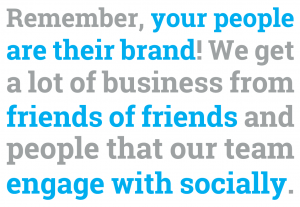 Lastly, remember that your people are their brand! So every interaction, whether specifically work related or not, is still a potential client/candidate. We get a lot of business from friends of friends and people that our team engages with socially. Borg: Recruiters are typically confident, so getting them to attend and mingle at meet-ups and events is not usually difficult. However, helping them to identify those events that will be of greatest value and making sure they maximise the opportunity they gain from being at the event is key. Using their social medium of choice to post, tag, hashtag and comment before, during or following an event is one way our team does this, thus aligning your online and offline branding efforts. Identifying which staff are most suited to attend and represent the brand at a networking event is also important. For many organisations, just getting your recruitment team involved is enough, but it’s possible to track progress to also help your recruiters become increasingly confident and effective with their branding. 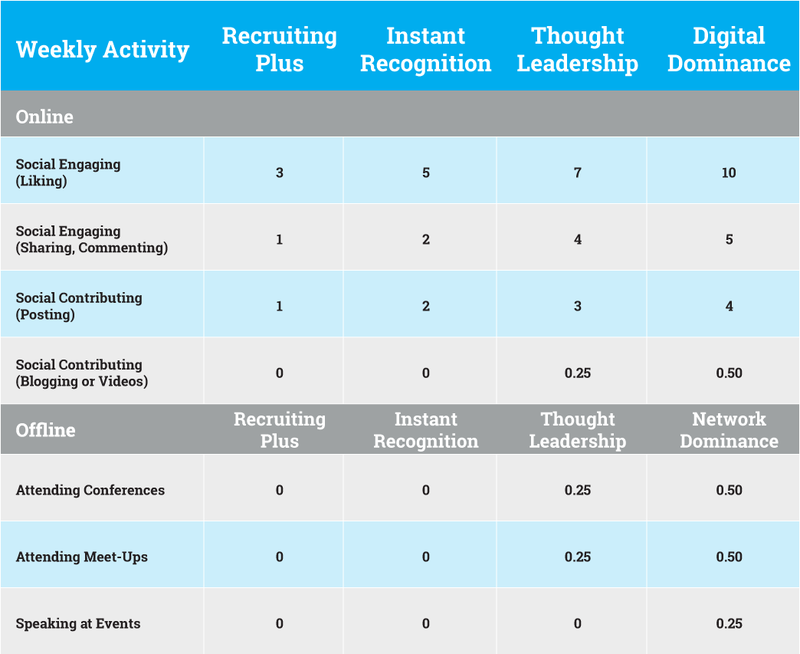 Below, is one idea of how you might track and monitor the performance of the recruiter’s personal branding activity. Knock: Branding and social influence can be hard to quantify in the short term, but educating consultants to utilise LinkedIn and Twitter analytics opens the door for more strategic content marketing rather than a ‘spray and pray’ approach. A very basic example would be showing your recruiters how to analyse which posts are receiving better engagement on each platform and adjusting content accordingly. Grimmer: One other way to track performance is to record the volume of placements that come from sources outside of job boards. The more referrals and self-sourced candidates the better. We aim for at least 75% of our placements to be through referral. Borg: Engagement is key, and these days it is easily measured with the accessibility of social media data and analytics tools. 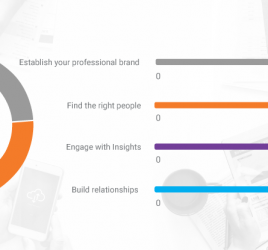 We educate consultants on how to measure success when posting content and blogs, and then encourage them to use their voice to experiment with their content themes and format to garner higher levels of engagement from their targeted audiences. Thank you to Christina, Fiona, and Jeannette for taking the time to contribute to this guide. Hopefully, it will help you, as either a recruitment Manager or Director, to progress your team’s personal branding journey.